We raise public awareness of the global challenges caused by human activities, and help to shape a more responsible World by supporting educational projects and concrete actions that encourage a more conscious and sustainable way of life. Loyal to the values of the Primat Family and aiming to spark positive change in our society, the Foundation has chosen to prioritise its activities around the major ethical issues raised by technological and environmental disruptions and its implications for Humanity and Nature. In a world undergoing major transformation, the Foundation places the transmission of ancient and contemporary wisdom at the core of its mission. It promotes the development of critical, creative and collaborative thinking from an early age, with the aim of improving individual life skills and encouraging more responsible choices and social behaviour. To achieve its objectives, the Foundation empowers scientists, philosophers and artists and supports relevant stakeholders in Europe, with a particular focus on France and Switzerland, but also internationaly for certain transnational projects. Special interest projects are developed at the discretion of board members. 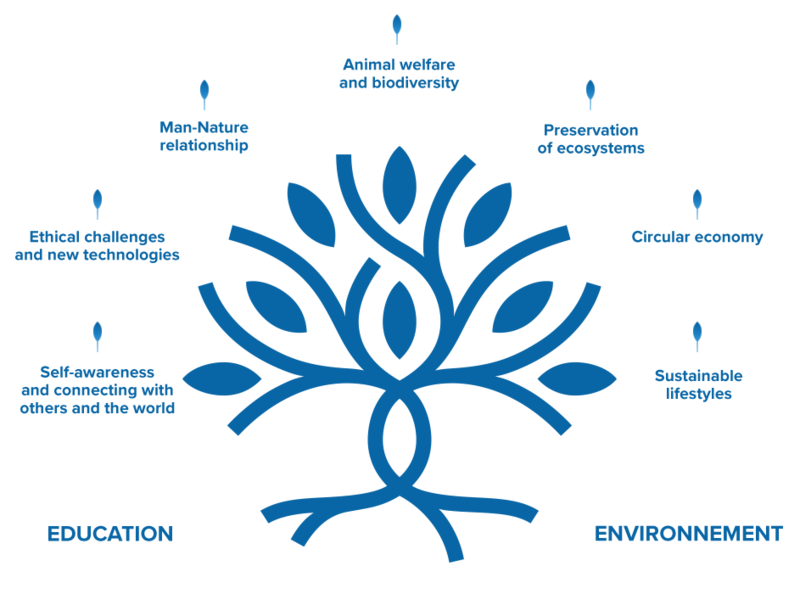 They cover a large spectrum of themes, yet are fully aligned with the Foundation's values and objectives.